Content Search web part introduced in SharePoint 2013 is a powerful tool that lets you easily retrieve and customize the appearance of search results without ever writing a single line of server-side code. 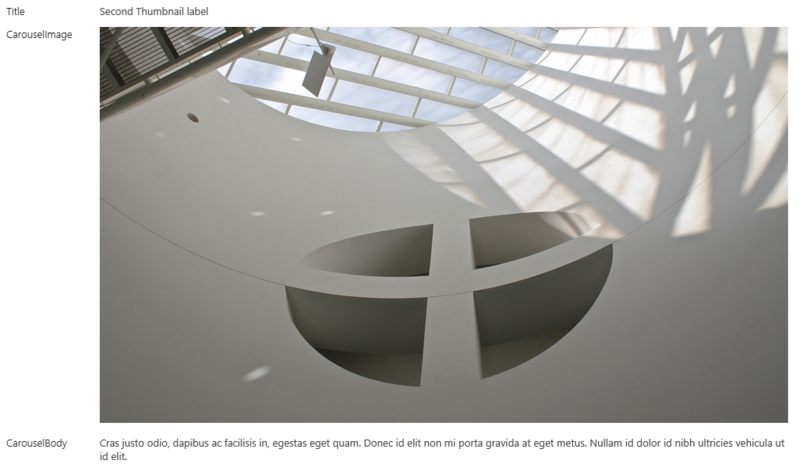 In this post I’ll show how to display items from a SharePoint list in a Twitter Bootstrap Carousel on any page of your site using a Content Search web part and a custom control and item display templates. 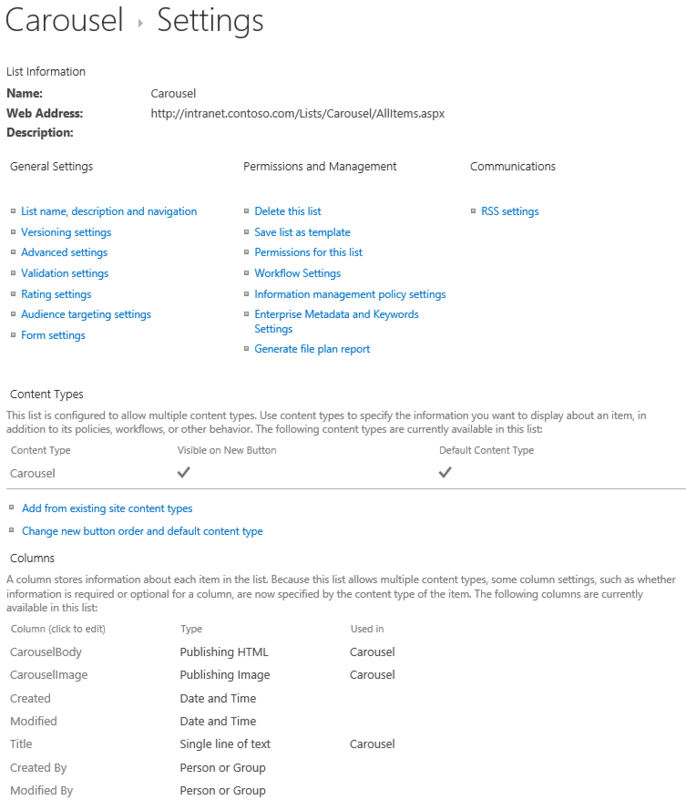 First thing we need to do is to create a SharePoint list that will contain the items to be displayed in the carousel. Let’s start by creating the site columns below. 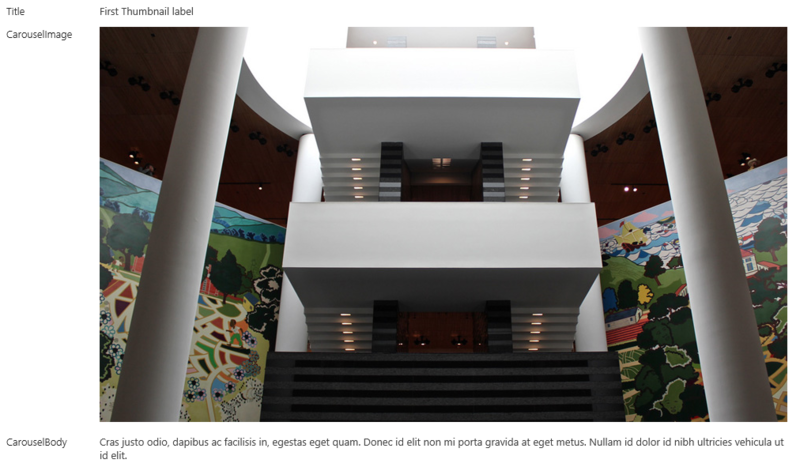 CarouselBody site column is going to hold the text to be displayed within each carousel slide. CarouselImage site column will contain the image to be displayed as the slide background. Now it’s time to create the SharePoint list. Enable content type management for the list. Finally, we are ready to add some carousel items to the list. Once the items are added, let’s go ahead and run a full crawl. The managed properties for each column in the list will be created automatically. When the crawl is complete we can verify that all of the information we need is in the search index by running a REST API search query. 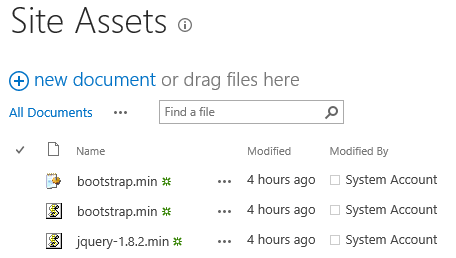 Before we move on to the next step, we need to download the jQuery library and Twitter Bootstrap Carousel package and upload those to the Site Assets document library. At this point we have the content we need available and can now start developing the custom display templates. We’ll do that by copying and editing some of the standard display templates that come with SharePoint 2013 and located in the master pages gallery. you add to this section will NOT become part of your Display Template. * Use the values assigned to your variables using an "underscore pound equals"
The carousel control display template is ready so we can upload it to the same location in the master pages gallery. 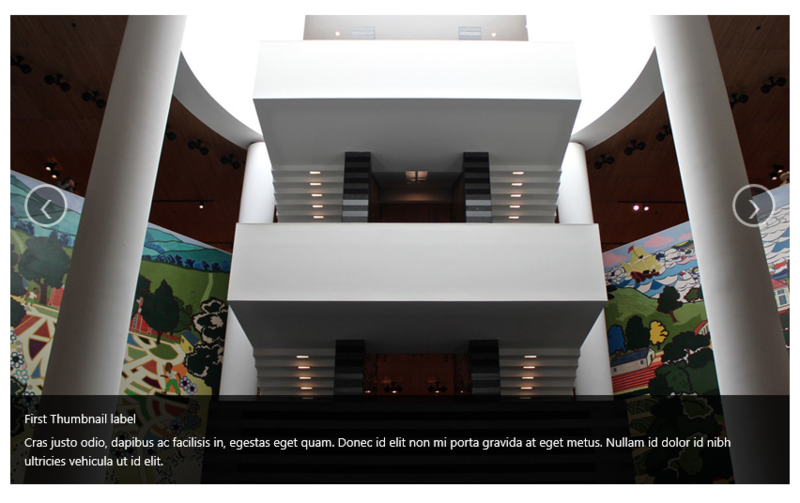 The next step is to create an item display template for the carousel slides. Similar to the control display template created earlier, we are going to copy and edit a standard item display template. 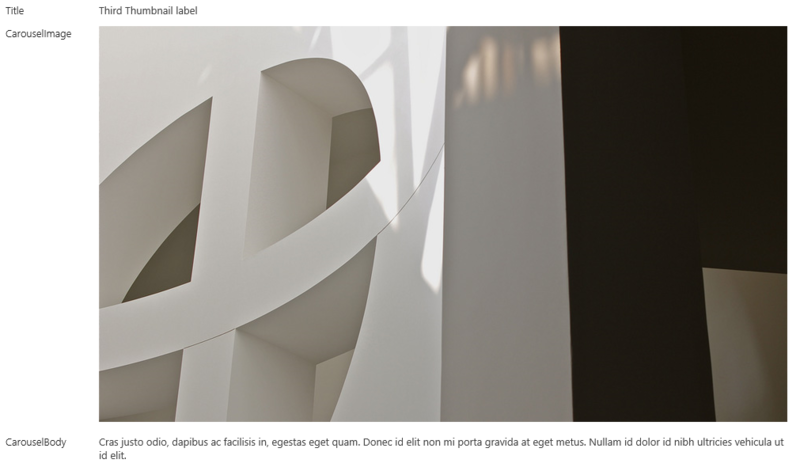 Upload the custom item display template to the master pages gallery. At last, everything is in place and we can now add a Content Search web part to the page. 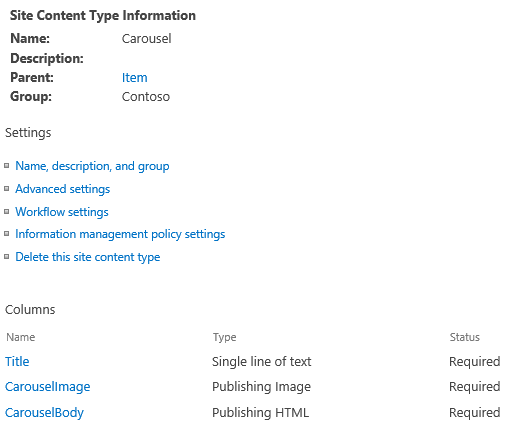 Configure the web part to fetch carousel items from the search index and use the custom display templates created earlier. At this point you should see the Twitter Bootstrap Carousel on the page displaying items from the Carousel SharePoint list.